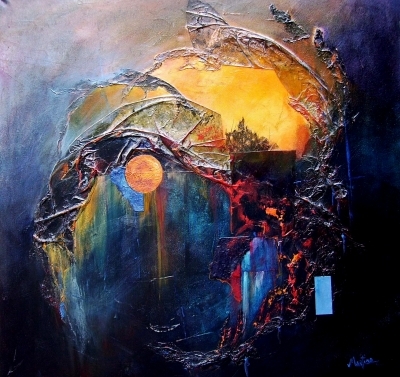 Joe Martino specializes in contemporary abstract art, using acrylic and mixed media. His paintings have been described as organic, nontraditional, textural, and dimensional. We invite you to come and explore Joe Martino's world of intriguing textures. After clicking the subscribe button, you should receive a confirmation email from googlegroups with a link to activate your subscription.